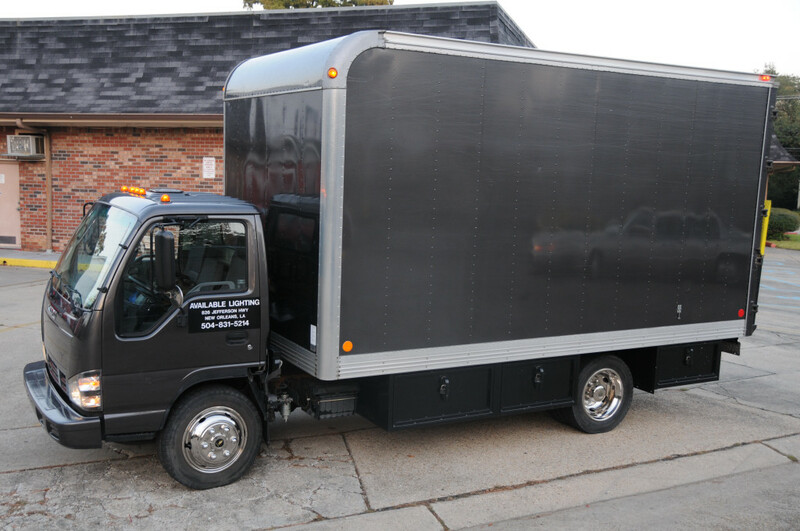 Our 16' 3 Ton Grip Trucks are packed with a large grip package in a smaller truck. A tungsten lighting package and a complete electrical distribution package are carried on the truck for your convenience. We can also add HMI, LED and Kino Flo lighting to complete your package. As the only authorized Fisher Dolly representative in New Orleans we can also add a Fisher 10 or Fisher 11 Dolly and a Fisher 21 jib arm. We have a list of a few local electricians and grips that are available as drivers who have a current and valid Louisiana commercial driver's license.